Best way to start 2018! Bravo, Holt, for publishing this incredibly important book. I am buying the e~book today keeping in mind that truth is often in the eye of the beholder. one person's agenda will stain the way the "evidence" is reported. trump must be removed and what will it take to bring him down with a lengthy prison sentence. final rating afterwards. A little too repetitive. Also a little too filled with jargon that wasn't necessarily explained. Still, we get the sense that what we thought was true - that the president hasn't a clue what he is doing. 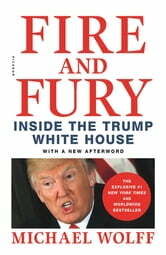 Ths book was a massive disappointment. It reads like a book of gossip and there is no sense while you are reading that any of the opinions expressed are able to be authenticated. I was hoping for some validatd understanding. 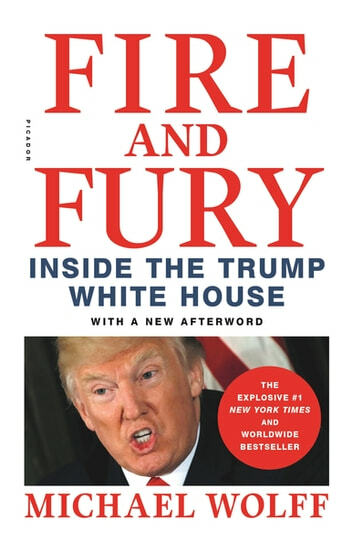 Clearly, Wolff is a Bannon fan, but I don't think this book has done him any favours so far. Scary to think this is how the Whitehouse runs, better hope the deep state knows how to run things because it looks like the rest are just there to play games between golf holidays! Baskı: Henry Holt and Co.